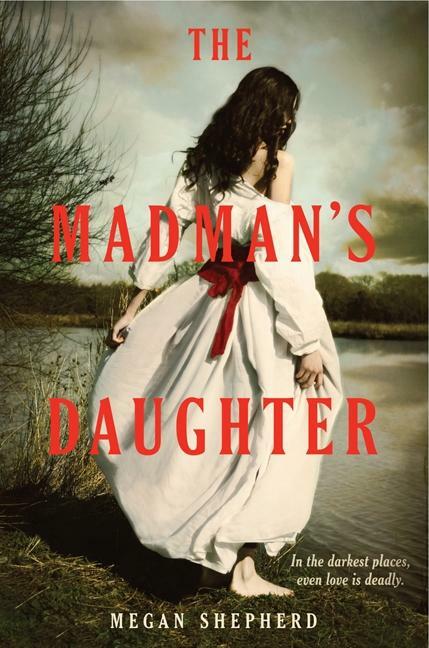 Why should you want to read The Madman's Daughter? It's inspired by The Island of Dr. Moreau by H.G. Wells, it's a Gothic novel, and there's the perfect amount of romance. Technically this does feature a love triangle but oh my goodness, the boys! Juliet Moreau is completely on her own in London, having lost her mother recently. Her father, once London's most celebrated surgeon, has been shunned and as far as Juliet knows, he's dead. Or is he? When she catches students performing a vivisection with one of her father's diagrams and learns of a doctor--who they got the diagram from--Juliet can't help but wonder, is it possible that her father has come back to London? Do not go look up vivisection. Trust me on this. If you really want to know what it is, it's experimental surgery on a live specimen; and yes, it plays a pretty big role in The Madman's Daughter. It's not extremely graphic in the book or anything, but it does pop up every here and there. There's so much more that could be said about experimentation and the role that it plays in The Madman's Daughter, but it's such a vital part of the book that you really just need to read it for yourself. As for the boys, well, all I can tell you is this: Montgomery is someone from Juliet's past and Edward is a castaway. Again, there's so much more to the boys than just that, but I refuse to spoil anything for you! It's really going to be interesting to see where the next book takes Juliet for several reasons--and don't you dare skip to the end of the book to see what I mean! It's enough of an ending not to feel like a cliffhanger and that's all I'm saying about it! But wait, I haven't said anything about Juliet! She's definitely not the simpering sort and she can hold her own when she needs to. She's strong in her own way and oh my goodness has she been through a lot. In all, I'd definitely recommend The Madman's Daughter to you. I loved the plot, the characters, and the setting. It's unique and I really can't say too much about it--other than this: you really should try reading this one. * Received for review via publisher and Edelweiss. When I delve into this book, I'll be expecting creepy since you mentioned that there's quite a bit of experimental surgery interspersed throughout. I didn't know about the love triangle. Glad it didn't bother you. :) Nice review. Can't wait to read this one! This book sounds intense! I wanted to read it from the title and cover, but now I'll have to move it up on my list. Thanks for the review! I've heard mixed things about the love-triangle. I think it's: you love it or you hate it. I do like the sound from this book and I can't wait to read more about the experimentation :) Great review. This book sounds so good! A little creepy, maybe, but intriguing nevertheless... It does sound very unique, and you've convinced me I need to pick this up soon!